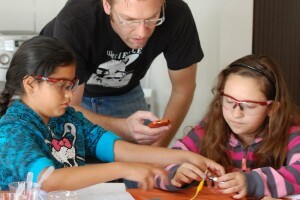 A growing body of research suggests that learning experiences outside of the classroom are integral to scientific education in the United States. The expansion of Informal Science Education (ISE) is therefore an important avenue of outreach. Current research also indicates that a positive STEM experience prior to the age of 13 correlates strongly with a student’s choice of career in STEM. 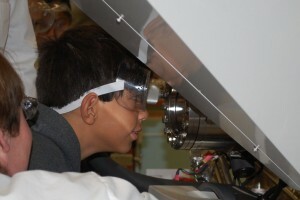 By exposing youth to engaging science activities and scientific professionals, opportunities for such an affirmative STEM experience are enhanced. 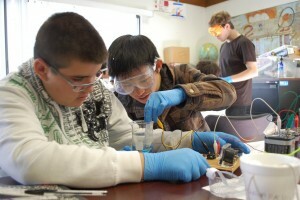 VCH’s Westside Science Club, which provides students with opportunities to explore science and technology through fun, hands-on experiential learning. 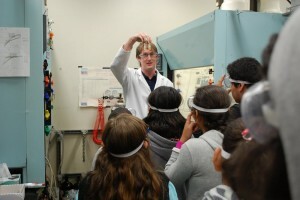 The biweekly program is led by a volunteer science educator, and through a partnership with the California Institute of Technology, allows students to interact with and learn from Caltech professors and researchers. The program meets on Saturday mornings in the community room of our Tabor Courts apartment building.